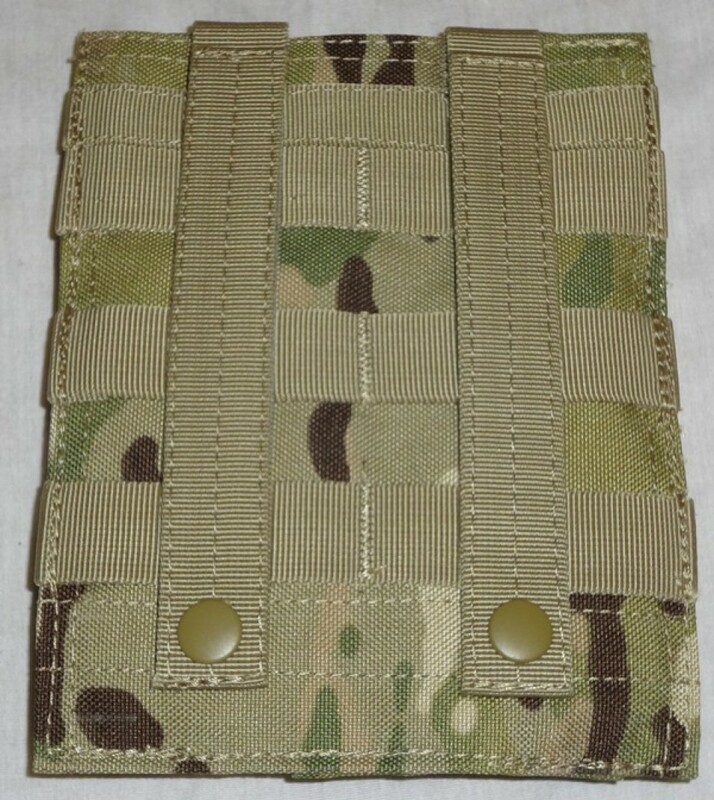 This pouch is designed for 9mm sub-machinegun magazines including the MP-5 and UZI. 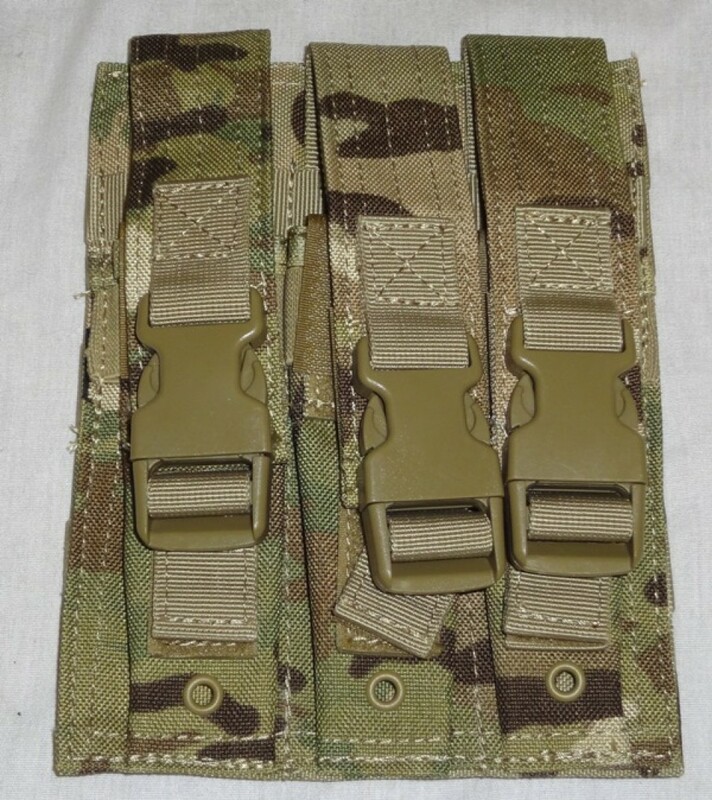 Pouch will hold three magazines and has MOLLE straps on the reverse. Genuine Crye Multicam.